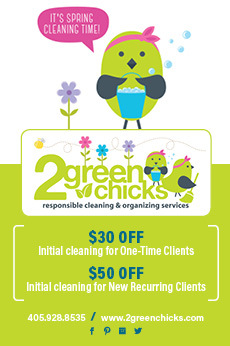 One might say that, by occupation, Brian Scroggins is passionate about going green. 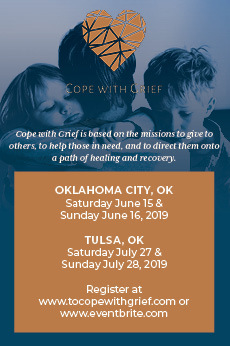 The owner of Outdoor Escapes, located in Moore, has spent years working to create beautiful green spaces for homeowners in the Oklahoma City metro area—resulting not only in greater curb appeal but also extending the time the residents can spend comfortably outdoors. Brian also is passionate about the other definition of “green”: meaning environmentally friendly. 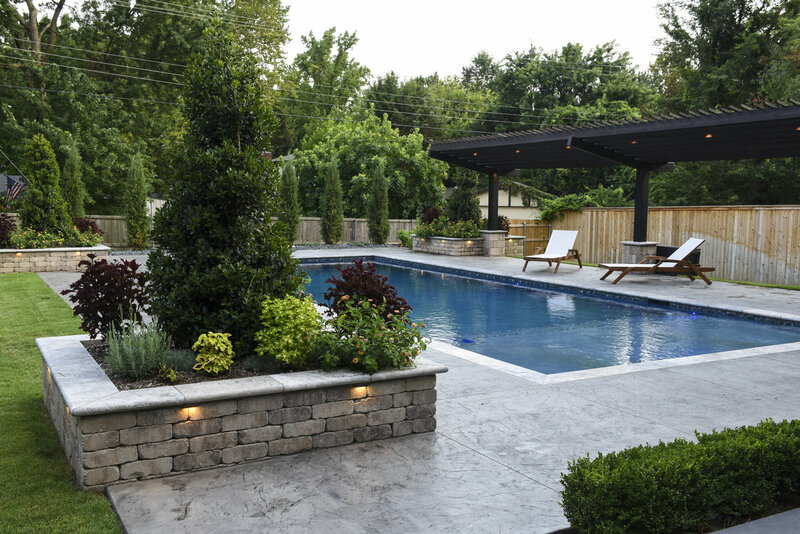 For example, whether the customer selects concrete pools or fiberglass pools, Outdoors Escapes designs them with proper plumbing, which helps with recirculation of water and allows for a reduction in pump run time for energy savings. 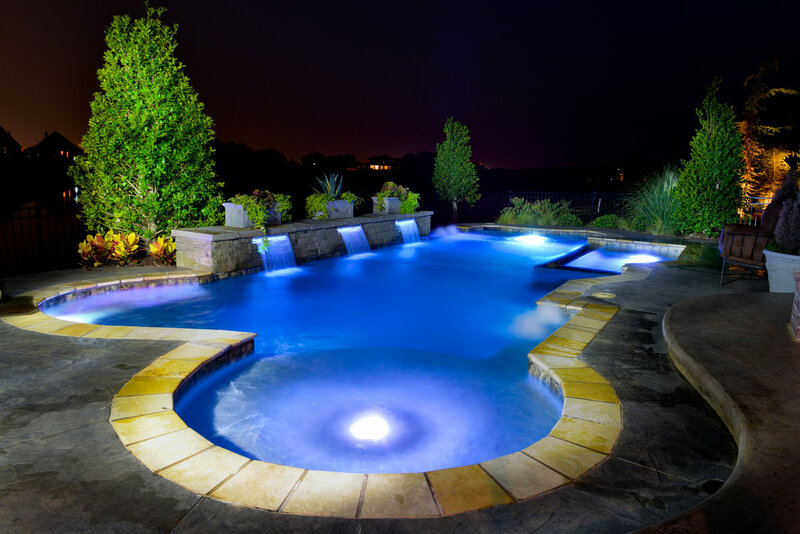 Brian notes that fiberglass pools are the better option to reduce the amount of pump run time because they have a gel coat finish that resists algae growth. 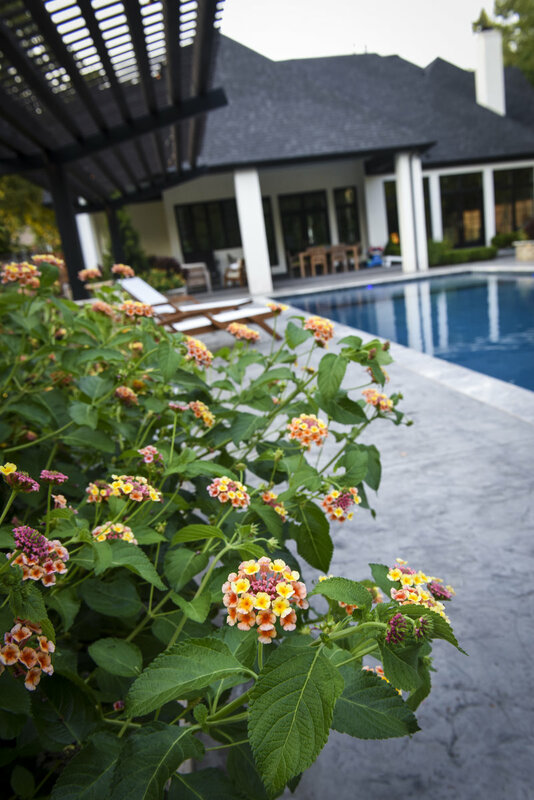 They also offer customers the option to use either salt water or a copper ion system to aid in keeping the pool clean and algae free. 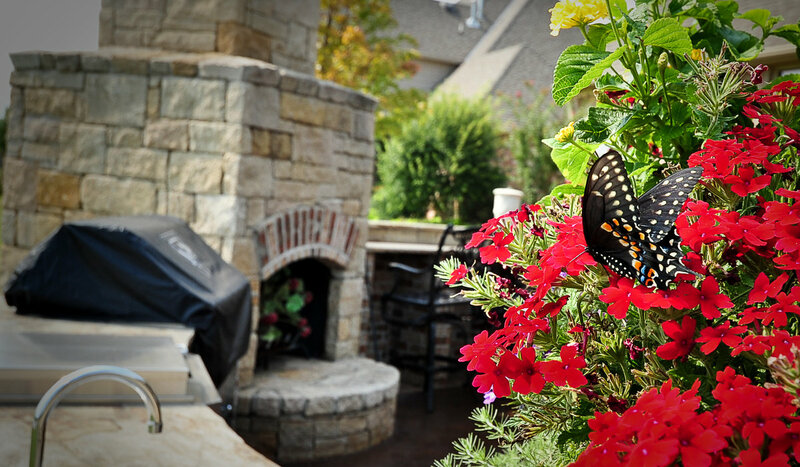 Brian also thinks green with their outdoor living projects. 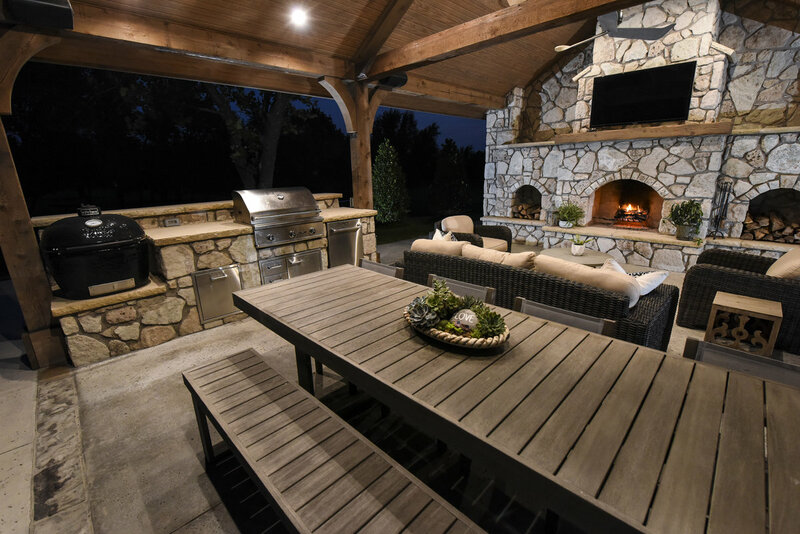 For their outdoor fireplaces, Outdoor Escapes offers either a natural gas log system or the eco-friendlier option: wood burning. 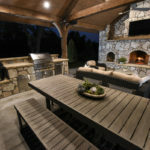 For outdoor kitchens, they offer products like Hasty Bake ovens and Primo grills that use natural hard-lump charcoal rather than natural gas. Outdoor Escapes staff have learned through research and years of practice how to place the right plants in the right location (e.g., shade vs. full sun), helping to ensure the landscape will thrive for years. Upon request, they can even select plants (often native to this area) that require a minimum of watering and feeding. 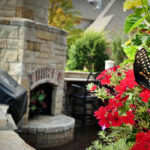 Plants also help provide shade for patios, reducing the heat produced by concrete or other hard surfaces, Brian notes, adding that these plantings also provide habitats for wildlife (including birds) and beneficial insects. When adding trees to a landscape, Brian notes that they often look to place them for shade on the west side of a house; this a great way to reduce energy use during the summer months.